When I found out there were gorillas in Uganda, I was excited. When I found out of the remaining 700 mountain gorillas in the world, 300 lived in Uganda, I got even more excited, tempered only by the depressing numbers still alive. When I ended up 3 meters from a silverback tearing down a whole tree for lunch, my life was pretty much complete. Hunted for bushmeat, forced from their habitat through deforestation and pushed to the brink of extinction, the mountain gorilla lives a precarious life. Unable to survive in captivity, they exist only in the wild, high up in the mountainous forests of East Africa. And I, living my wildest dreams (and hiking through dense jungle for a good 4 hours), got to see them. They live in Bwindi Impenetrable Forest National Park (aptly named), bordering the conflict-ridden Congo. The economic value of gorilla tourism has led to a concerted effort by the Ugandan Wildlife Authority (UWA) to protect the remaining gorillas at all costs. The money that comes in from the sale of permits goes to conservation efforts and ranger salaries. The number of people per hike is capped at 8, and 7 different groups break off. 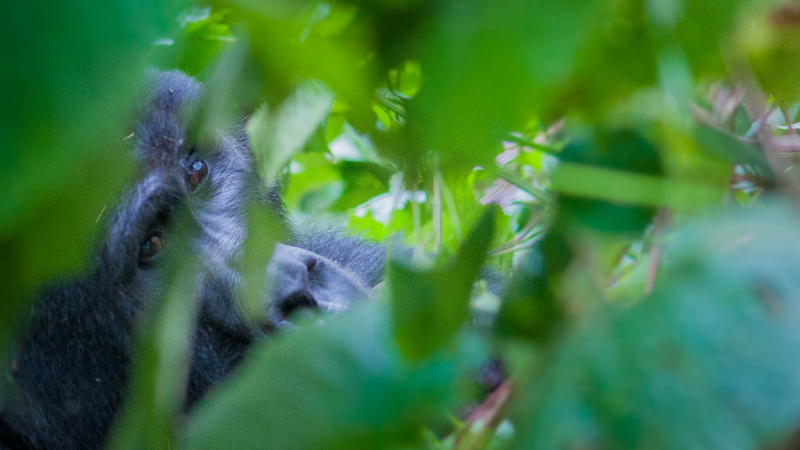 Of the 31 families in Bwindi, 10 have been habituated for contact with humans (as gorillas are naturally afraid of their not-so-distant genetic relative). This all culminates in one full hour of inexplicably awesome contact with one of the coolest animals on the planet.